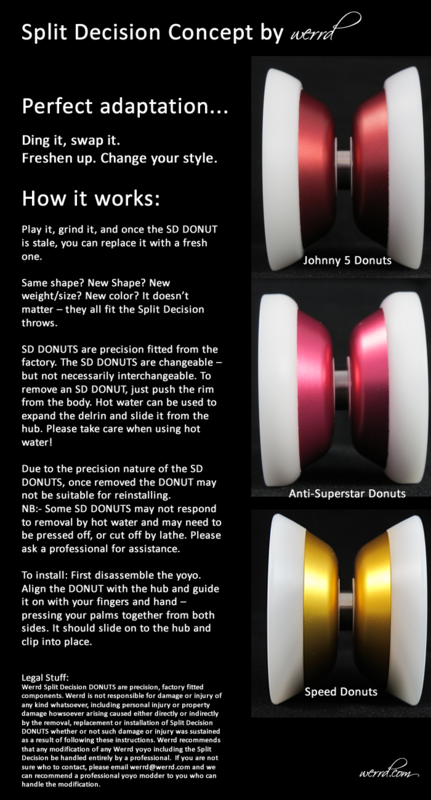 The yoyo that started it all, the Split Decision was the first yoyo that we made utilizing our unique “Donuts”. The Split Decision is a metal yoyo with delrin rims, and the idea behind this yoyo was to be able to create a yoyo that had interchangeable rims. This allowed players to completely change the size and feel of the yoyo. 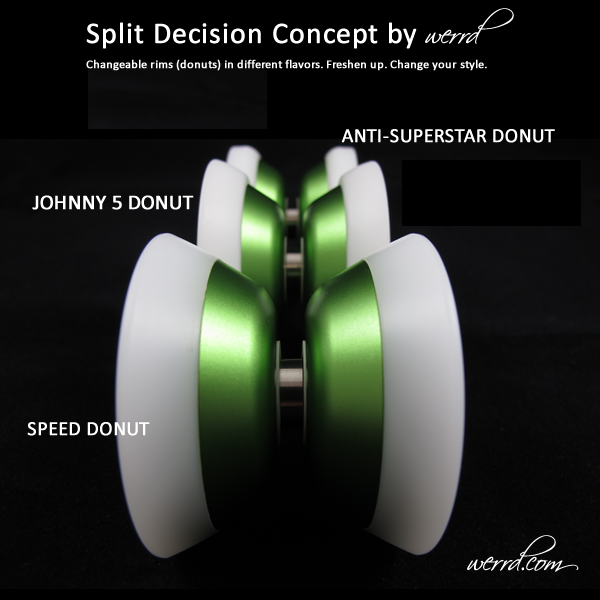 Each Split Decision comes with the same metal body, and a different type of “Donut” or rim. The first donut is the “Anti-Superstar”, the rims make the yoyo feel like an H-shaped yoyo with flattened rims. The second donut is the the “Johnny 5”, this rim gives the yoyo a more traditional H-shape feel. Finally we have the “Speed” rims, this rim gives the yoyo a more angular feel, much more traditional butterfly shape. With all of these choices it’s needless to say that everyone will find something that they will like, so come try out the Split’s and make your Decision today.